One of the most common over-the-counter painkillers is acetaminophen (Tylenol). Many of us have taken acetaminophen in our lifetime to relieve some degree of pain, whether it be from an injury or headache. Many of us take this painkiller without ever reading the labels or warnings, but really, we should. If we took the time to do so, we would uncover that this drug poses a risk to liver health. In fact, acetaminophen is the number one cause of acute liver failure. When acetaminophen enters the liver, it is converted into a new compound that binds to amino acids known as cysteine. These binding events are what makes acetaminophen toxic, but not necessarily part of liver failure. Cysteine is known to impair the function of the mitochondria, but it does not directly bind to other enzymes in the mitochondria whose activities it affects. Now, researchers have a better understanding of how acetaminophen plays a role in liver failure. Researchers from the National University of Singapore examined glutathionylation, which is a post-translational modification made to cysteine residues in response to acetaminophen toxicity. The researchers reported a new proteomic approach to isolate and identify glutathionylation proteins and applied it to cells being treated with acetaminophen. 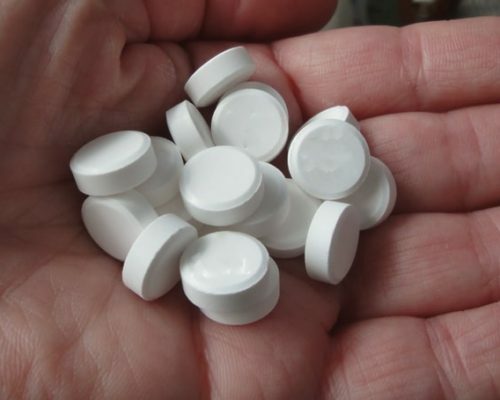 They uncovered that an acetaminophen breakdown product causes glutathionylation, which explains a new mechanism for how acetaminophen can contribute to liver damage. Glutathionylation is usually added to cysteine residues to protect them from damage, but the latest research suggests that acetaminophen breakdown activates glutathionylation in a dose-dependent way. This contributes to changes in how the mitochondria produces energy and intakes fuel, which leads to metabolic dysfunction and other effects linked with acetaminophen toxicity. The research findings help us understand the role acetaminophen plays in acute liver failure. Furthermore, it may shed light on other drugs of similar structures. It’s important that you always take any medications – prescription or not – as recommended and not prolong use if unnecessary. Furthermore, having other health conditions or taking other medications may increase the risk of toxicity. Always speak to your doctor before taking other drugs.